Thomas Hinze, Grzegorz Rozenberg, Arto Salomaa, Claudio Zandron (Editors). Dresden, Germany, September 4-7, 2018. Revised Selected Papers. 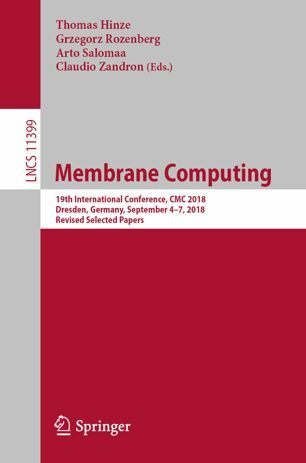 This book constitutes revised selected papers from the 19th International Conference on Membrane Computing (CMC19), which was held in Dresden, Germany, in September 2018. The 15 papers presented in this volume were carefully reviewed and selected from 20 submissions. The contributions aim to abstract computing ideas and models from the structure and the functioning of living cells, as well as from the way the cells are organized in tissues or higher order structures. Ausgewählte molekulare Prinzipien der biologisch inspirierten Informationsverarbeitung. Biologische Mechanismen der Informationsverarbeitung gelten als zuverlässig, anpassungsfähig und effizient. Sie beruhen größtenteils auf molekularen Interaktionen. 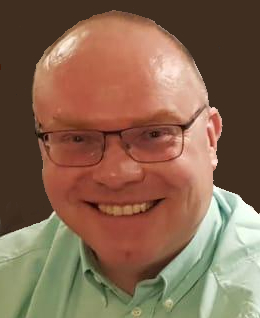 Moleküle dienen hierbei als Speichermedium und übernehmen die Rolle des Datenträgers, auf dem feinabgestimmte biochemische Reaktionen operieren. Daraus resultiert eine alternative Hardware im Nanometermaßstab, deren ingenieurtechnische Erschließung über die Bionik hinaus mannigfaltige Anwendungen verspricht, die die Informatik in vielerlei Hinsicht bereichern und weiterentwickeln können. Aufbauend auf Grundlagen chemischer Reaktionen und kinetischen Gesetzmäßigkeiten ihres zeitlichen Ablaufs werden zahlreiche Beispiele chemischer Analog- und Digitalcomputer vorgestellt und leicht nachvollziehbar erklärt. Die Palette reicht dabei von biologischen Uhren als chemische Regelkreise über molekulare Arithmetik bis hin zu Zellsignalnetzwerken, die als endliche Automaten oder programmierbare Registermaschinen arbeiten. Zahlreiche Abbildungen veranschaulichen die einzelnen Molekularcomputermodelle. Das Lehrbuch gibt einen breiten Überblick über das Wissensgebiet und wendet sich gleichermaßen an Einsteiger wie Fortgeschrittene. Marian Gheorghe, Thomas Hinze, Gheorghe Paun, Grzegorz Rozenberg, Arto Salomaa (Editors). 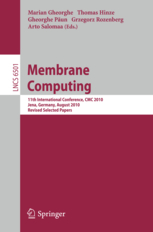 This book constitutes the thoroughly refereed post-conference proceedings of the 11th International Conference on Membrane Computing, CMC11, held in Jena, Germany, in August 2010 - continuing the fruitful tradition of 10 previous editions of the International Workshop on Membrane Computing (WMC). The 23 revised full papers presented together with 4 invited papers and the abstracts of 2 keynote lectures were carefully reviewed and selected from numerous submissions. 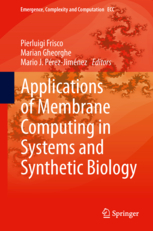 The papers address in this volume cover all the main directions of research in membrane computing, ranging from theoretical topics in the mathematics and computer science to application issues. A special attention was paid to the interaction of membrane computing with biology and computer science, focusing both on the biological roots of membrane computing, on applications of membrane computing in biology and medicine, and on possible electronically based and bioinspired implementations. 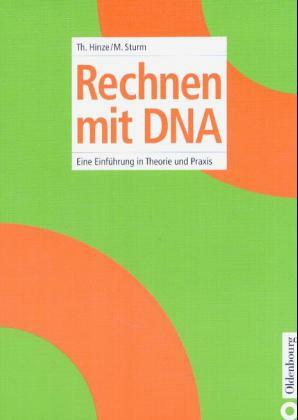 Rechnen mit DNA - Eine Einführung in Theorie und Praxis. 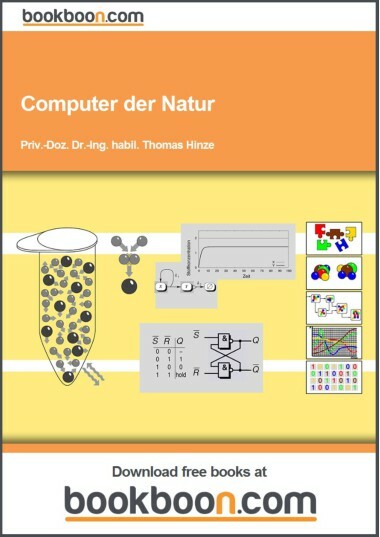 The German-speaking book provides a comprehensive and systematic introduction into the interdisciplinary field of DNA Computing including its mathematical and molecular biological background. DNA Computing is focused on biological computers whose storage medium and data carrier is formed by organic molecules. Appropriate molecular biological and biochemical processes perform computational operations inside wet test tubes. DNA-based algorithms use a massive data parallelism. This leads to a performance of DNA computers that can challenge the electronic state of the art technology. There are many interesting practical applications in many branches. Their commercialization has already begun. The transfer of basic knowledge about DNA computing is completed by the detailled introduction of models, methods, and techniques that prepare practical in-vitro implementations in the laboratory. Particularly process simulations on a submolecular level based on thermodynamics and reaction chemistry are considered.